Although the IDF’s abilities to handle the rocket and attack tunnel threats have garnered most of the attention during the latest campaign in the Gaza Strip, it is now clear that Israel was also forced to confront cyber challenges during Operation Protective Edge. A senior officer in the C4I Corps noted that in the course of the campaign Iranian elements launched a widespread cyber offensive against Israeli targets, including attempts to damage security and financial networks. While these attempts were neutralized relatively easily and quickly by Israeli cyber defenses, it seems that Iran is investing heavily in the development of effective offensive capabilities against infrastructure systems, and might present a serious challenge to Israeli defenses within the foreseeable future. In 2013, a series of attacks on the websites of major US banks and financial institutions was attributed to Iran. An information security expert described these attacks, which included sophisticated techniques and demonstrated an ability to act in significant scope against high quality targets, as unprecedented in degree and effectiveness. Five officers from Israel’s Mossad spy agency and three Egyptians will stand trial on Wednesday on charges of spying for the Jewish state, judicial sources said. Egyptian prosecutors have accused the eight of espionage and supplying Israel with information impacting Egypt’s national security, the sources said on Sunday. The trial is expected to open with none of the defendants present, the sources said, because the Mossad officers are “on the run” while it is not clear if the three Egyptians had been arrested. The Egyptian suspects hail from Rafah, on the border with the Palestinian Gaza Strip, they said, adding that the trial will be held in the Suez canal city of Ismailiya. The trial of a Jordanian engineer accused of having spied for Israel is also underway in Egypt. Leaders of the Palestinian Islamist movement, Hamas, say they will not help Iran militarily in any conflict between Israel and the Islamic Republic. There is speculation in Israel that if it attacked Iran’s nuclear facilities, it could face rocket fire from Hamas in Gaza and Hezbollah in Lebanon. Both are long-time allies of Iran. But Mahmoud Zahhar, a senior leader of Hamas in Gaza, denied the group would get involved and told the BBC: “We are not part of any political axis.” ”If Israel attacks us we will respond. If they don’t, we will not get involved in any other regional conflict,” he added. Mr Zahhar questioned Hamas’s ability to offer support from the Palestinian territory to the south of Israel, even if it wanted to. ”Don’t exaggerate our power. We are still suffering from the occupation, the siege and two wars in recent years,” he said. Israel tightened its blockade of Gaza in 2007 after Hamas seized control of the territory from forces loyal to Palestinian Authority President Mahmoud Abbas and his Fatah movement. 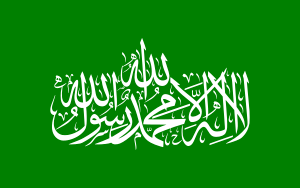 Ideological differences Another senior Hamas official in Gaza, who did not want to be named, also insisted that Hamas would stay out of any conflict between Israel and Iran. Every day, thousands of trucks containing shipments of civilian goods enter Gaza. IDF’s Iron Dome is on-call and ready. The first tier of Israel’s multi-layered defense system is the Israeli-developed Iron Dome system which was designed in response to the rockets and mortar shells fired from Gaza. The Iron Dome system can determine where an incoming rocket will land,and intercept projectiles that pose significant threats in mid-flight . 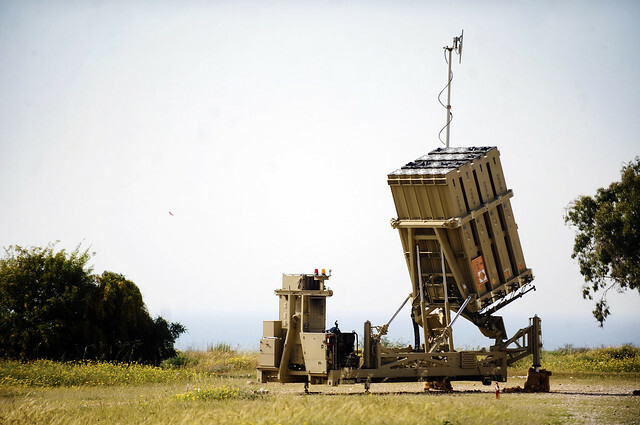 The decision to build Iron Dome was made by the Ministry of Defense in 2007, following a particular turbulent year on Israel’s northern border with the Hezbollah terrorist organization during the Second Lebanon War. Egyptian Coptic Christians carry the coffin of a victim of sectarian clashes during a funeral in Cairo on May 8, 2011 as Egypt’s military rulers warned they will use an ‘iron hand’ to protect national security after clashes between Muslims and Christians in the Egyptian capital killed 15 people and injured scores. ONLY ON THE BLOG: Answering today’s five OFF-SET questions is Ethar El-Katatney, award-winning journalist, blogger, and author. Senior International Correspondent Ben Wedeman reports that there were some 10,000 demonstrators between Cairo’s landmark Tahrir Square and the Egyptian State TV building. (8:40 am ET) The group was divided into three separate protests: around 7,000-8,000 people are gathered in central Tahrir Squareto rally in support of the Arab Spring and the Palestine. The protesters waved flags of other Middle Eastern nations and chanted “Egypt and Palestine are one hand.” The second group of demonstrators in the Tahrir Squarearea called for unity among Egyptians and a return to the ideals of the Jan 25th revolution. Another group of demonstrators gathered in front of the Egyptian State Television building in Maspero called for greater rights for Egypt’s Coptic Christian minority.